At bonusbank, we want as many people as possible to benefit from matched betting. For that reason, we work closely with other matched betting sites to encourage and help each other. Today, we have invited Richard from Matched Betting Australia to guest post and tell you all a bit about himself and his site. So, without further ado, here’s Richard…..
For those of you who don’t know, my name’s Richard and together with my brother William, we founded and run Matched Betting Australia. We both hail from and grew up in South Africa, and spent a few years travelling abroad and doing a lot of different kinds of jobs. From working in hostels and tour company camps, to working as one of the traders for Smarkets Exchange in Europe (a betting exchange similar to Betfair which operates in the UK and Europe). I have seen and done quite a lot for such a short life! I started Matched Betting in January 2016. A mate of mine in the United Kingdom said to me that he had found this way of making money online called Matched Betting. I just thought to myself again that this is just another one of these get rich schemes and literally blew him off for about 3 weeks! Anyway, after a while I decided to do my first two signup offers. They weren’t massive at all, I think the total was less than $50 in bonus bets. But it was a great introduction to the workings of matched betting, and I planned to do every single UK signup offer available as soon as possible thereafter. I did every sign up offer available and banked about $1500 in 6 weeks. Bear in mind I had a day job that kept me busy so this was some good cash on top of my salary. After finishing sign ups I was a regular Saturday Horse Racing and Soccer Matched Bettor! The profits kept rolling in and I wasn’t even working that hard on my matched betting (+-10 hours a week) and very soon my matched betting profits were the same as my salary every month. One thing led to the next and I quit my job and moved back to Thailand to do Muay Thai for 6 months and do matched betting on the side! As you know South East Asia is so cheap that I just needed to hit a few decent refunds a week and my expenses were sorted! I have always been a backpacker at heart and done many travels around the world, and I knew the Aussie matched betting market was completely different and more profitable to the ones in the UK and Europe. So naturally I got involved in that. This was a great way to live and enjoy my freedom and I decided that I wanted people to experience the same thing I was experiencing and hence decided to start a free Matched Betting blog together with my brother. So here we are! Starting a website and sharing information is quite a satisfying and rewarding feeling, so creating, running and improving Matched Betting Australia is a fun process for us. We now have two free matched betting blogs, one in Australia and one in Europe (called Matched Betting Europe) covering a few different countries and it’s been super enjoyable giving back to fellow matched bettors! We decided to be a 100% free to use blog to help people that are interested in starting matched betting but don’t want to pay for a service. Our goal is help users go through every sign up offer in Australia and New Zealand and bank themselves $3000+ and then move onto the daily offers of Horse Racing and when in season, AFL, NRL, NFL and NBA. Our blog is perfect for 9-5 office workers who want to make extra cash on weekends, students who want to make extra weekend beer money and travellers who want work a little whilst travelling! We came across Bonusbank a while back before even starting our blog and were immediately impressed with the website. What was most impressive was their “Daily Plays” section, which is unique and something I never came across before. They have also created a community of users where Nico is constantly involved in trying to get the best service for his users. Bonusbank compliments us perfectly as we at Matched Betting Australia don’t provide the in-depth detailed software, such as the ATM, the horse racing odds matcher, various calculators etc. What we do provide, however, is a free service for users to get up to speed with Matched Betting, do every sign up offer and get familiar with reload offers. Thereafter we suggest they move onto Bonusbank to get more value out of their Matched Betting and to get those consistent monthly profit figures going! They will also have a lot more money saved up already so paying for a service that’s only $47 per month will be well worth the money spent by that stage of their matched betting journey. It will also give them access to more software and a new community of matched bettors with lots of experience in the industry. 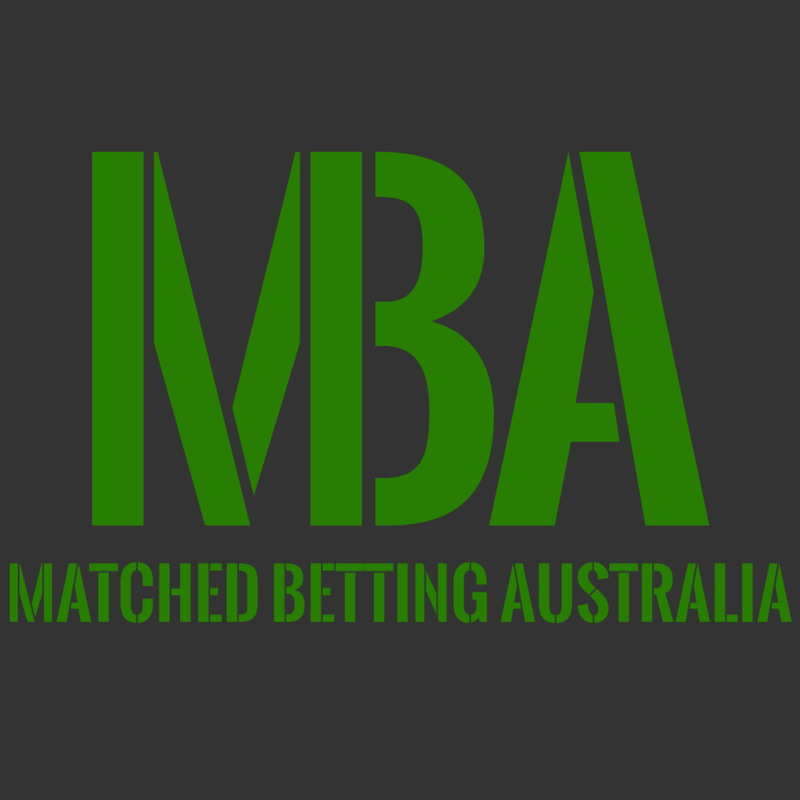 Matched betting has massive potential in the Australian market, in my opinion. Yes, the laws are a bit stricter and each state having its own laws can be a bit of a drag. But the profits which come with it are worth the effort. Thanks to Nico at Bonusbank for allowing me to write this piece about myself, Matched Betting Australia and matched betting itself!